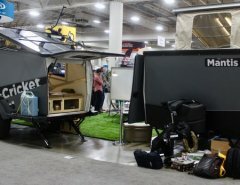 MSRP: Starting at approx. $3,000,000 USD. The EleMMent Palazzo RV has some exotic features befitting its exorbitant, $3 million price tag, such as a pop-up roof terrace. 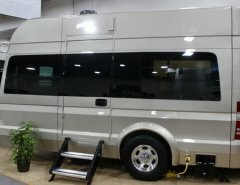 As its formidable height suggests, the RV has two stories, with the cockpit, a colossal sized master berdroom and bathroom filling out the top floor, 40-inch TV, on-board bar, fireplace and even its own rooftop terrace. A very unusual cockpit with one of the more peculiar features is the tri-blade windshield wiper. 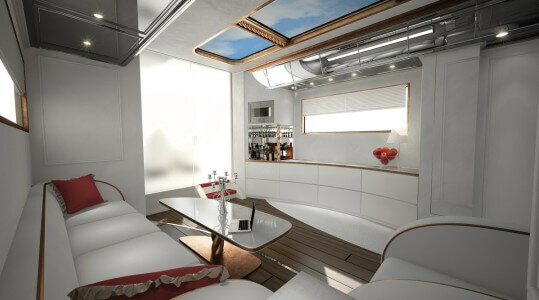 The interior kitchen seems to blend in with the overall design making it a peice of art in tune with the rest of the RV. 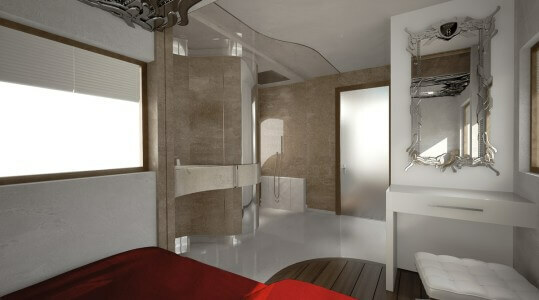 The bedroom and bath make you feel as though you are a king or queen in you’re palacial palace waiting for your servents to attend to your every need. 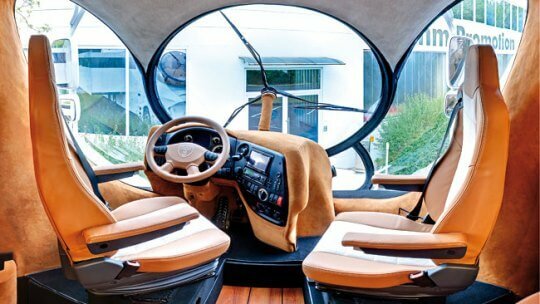 Designed by the famed Luigi Colani, a German industrial designer, the 510 hp diesel-powered vehicle comes with a slide out deck that enables the interior to expand to a full 430 square feet. With that much living space owners can chose from a palate of configurations that include wireless Internet, a fireplace, streaming video surveillance, heated flooring and satellite TV. The lounge area is transformable to party/bar area as well. Relax or Party? 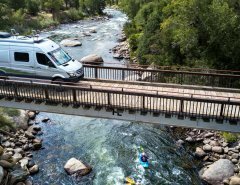 An Automatic gateway set of stairs descends from the RV. 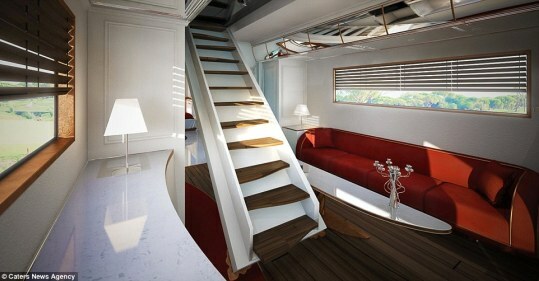 Sky Lounge: a liftable flybridge by the push of a button. 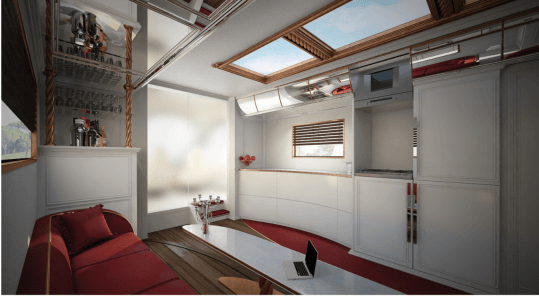 Over the rear of the RV, a single slideout increases your interior square footage of 80%. 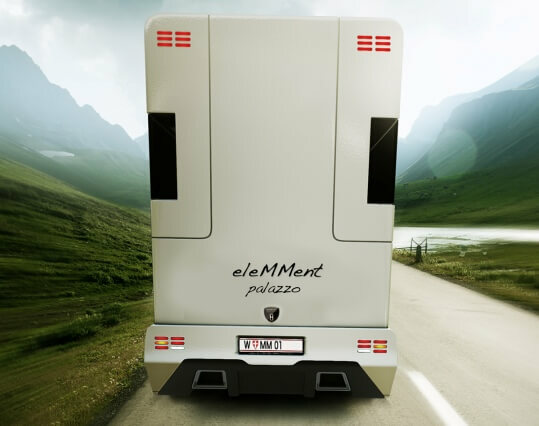 Whatever it is, the eleMMent RV is essentially a culmination of just about everything a filthy-rich person would want in an motor home. Lavish bar lounge? Check. 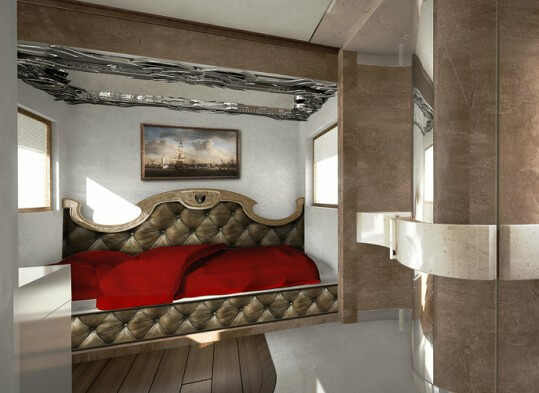 Luxurious master bedroom? Check. 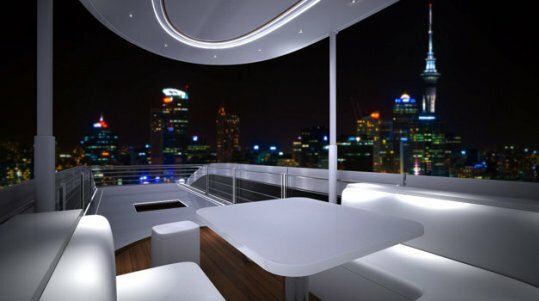 Sky lounge? Standard. Exorbitantly expensive? You betcha. 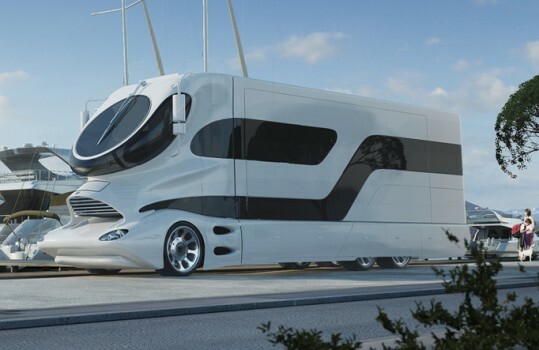 But beyond these extravagant amenities is an ingeniously conceived vehicle that also so happens to offer great high-end performance, versatility and — believe it or not — fuel efficiency.